What do the new EPC regulations mean for landlords and tenants? In case you missed it, landmark legislation comes into force this month which is going to change the lettings landscape for landlords and tenants alike. It will also benefit the planet by creating homes fit for the environmentally conscious 21st century. Anyone grumbling that the rules are yet more government red tape is missing the point. The key feature of the legislation is that, from 1 April, any residential properties that are let to private tenants must have an EPC rating of at least E. The ratings range from A, the most energy-efficient, to G, the least efficient. The rules apply both to new tenancies and to existing tenancies which come up for renewal after 1 April, so even if you have long-term tenants, you cannot get away with failure to comply with the rules. Landlords are legally required to furnish tenants with an up-to-date EPC and to cite the property’s EPC rating when advertising it. Is there a penalty for not complying? Infringements of the new rules can attract fines of up to £5,000, so it is simply not worth taking short cuts and glossing over any shortcomings. There are a small number of exemption criteria (for example, if a tenant refuses a landlord permission to adapt a property), but always follow the letter of the law. How can I arrange an EPC inspection? 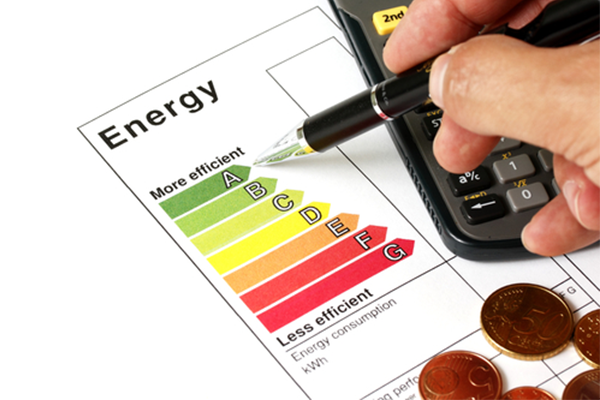 Energy assessors will be able to advise you on a wide range of measures for improving the energy efficiency of your property. These range from loft insulation and low-energy LED light bulbs, to draught excluders and the replacement of inefficient boilers. What are some of the major sources of heat loss? Single glaze windows can be a major source of heat loss, particularly if they are old or poorly installed. Replacing windows can be expensive, but new double-glazed sash windows can improve the look of a property as well as making it more energy-efficient. Try to regard the new rules as an opportunity, not just a chore. If your property gets a high EPC grade, it will be easier to let, particularly among tenants for whom energy conservation is a personal priority. Take the long-term view. Although a modest grade E EPC is currently acceptable, the government intends to raise the bar higher in the years ahead. So, if you can make the changes necessary to give your property an EPC rating of better than E, you will be ahead of the game. Landlords can be suspicious of new regulations. But there is nothing in the new rules which should alarm conscientious landlords. In fact, they should be seen as a positive step in the maintenance of high energy-conservation standards which benefit everyone. You may need to spend a little time and money modifying any properties you let, but after that you will be able to sleep easy at night – as well as know that you are doing your bit for the environment.